Apparently, the whole point of Hangar 1 Vodka was that the guys at St. George Spirits weren’t happy with the vodkas on the market, so they made their own to suit their tastes. Really Tall Bottles That Don’t Fit In My Liquor Cabinet. You know, right next to High West. Now, the very point of vodka is to be neutral. It should be as water-like as possible. Well, that’s what its inventors were going for, anyway. Of course, you all know how I love booze that announces its presence. Vodkas rarely step up to that particular mark, Jewel of Russia notwithstanding. But a nice, true neutral spirit is always in good taste, as my review of Tito’s Handmade Vodka will attest to. Hangar 1 is strange. Tasty, but strange. And if you know me, that’s high praise. High praise indeed. See, unlike most vodkas which are a grain or potato base, the crew in Alameda used a grain & grape base. This mix mellows out the heat of a straight grain, smooths the “disinfectant” nose of grain, and brings both an unexpected mouth feel and flavor to the party. The taste is still quite neutral, but there’s this lovely *other* thing going on. In its price point, you’ll be comparing Hangar 1 to Grey Goose, Belvedere, Chopin, and even Ketel One. Hangar 1’s edge over them all is that je ne sais quoi that the grape brings out in the flavor and mouth feel. This is one vodka I wouldn’t mind just sipping straight. I noted above that the finish is “oily.” What I mean by that is that the vodka truly coats your palate and lingers for a moment. Not that it tastes oily, nor is gelatinous or viscous. Again, it’s unexpected (see “strange” above) and I find it pleasant. Of course, if you want to neutralize all this peculiar character that I’m describing, store Hangar 1 in your fridge or serve it over ice. But like Jewel of Russia, this is one vodka I wouldn’t mind just sipping straight. 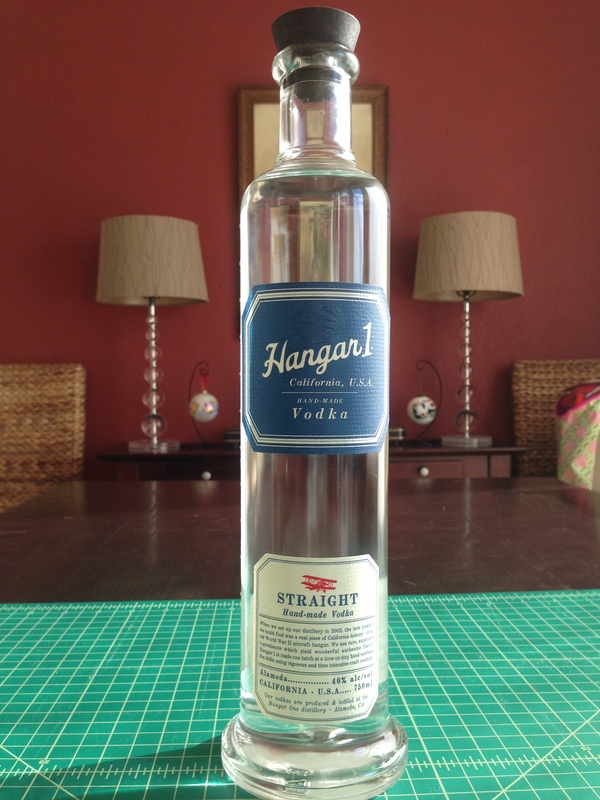 As vodkas go, Hangar 1 is a versatile staple and nice sipper. I’m keeping it on hand… you know, after I decant it into a shorter bottle.